The increasing accuracy of estimated breeding values, backed by new technology and tools, ensure a consistent supply of top quality pig genetics. Large data sets related to the molecular function of genes increasingly offer a rich resource of genetic variation. Understanding and quantifying these variations will enable precision breeding. Our first-to-market Genomic Selection breeding program enhances accuracy in genetic selection. Hypor’s research will enable countless new traits to be added. 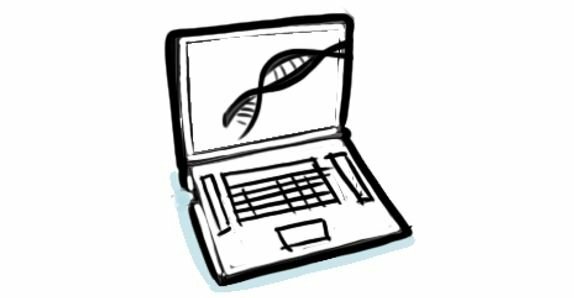 The High Performance Computing cluster enables affordable high throughput genotyping and sequencing in days instead of weeks, accelerating the realization of precision breeding and bringing it into everyday use. Our genetic program generates improved results. It takes the eye of a true expert to select the best breeding stock. Not only based on calculated breeding values, but also conformation and type. Fulfilling the ever-changing demands of consumers requires predictable meat quality. Water holding capacity, marbling, taste and color are traits under investigation. Our diverse team of R&D experts explore the boundaries of genetics and work together with leading academic institutes across the world to explore new horizons. Subscribe to our Hypor Newsletter to stay up-to-date with news about our innovations. Your contact information will not be shared, it is only for the purposes of delivering our newsletter.